Played the 2004-05 season with Rusteda Kaunas (Lithuania) in the LKAL. Moved to Ukraine for the 2005-06 season, signed by Dnipro Dnepropetrovsk. Moved to Netherlands for the 2007-08 season, signed by Capitals Groningen. On October, 07 moved to Greece, signed by AEP Patron. Moved to Italy for the 2008-09 season, signed by Pallacanestro Cantu. Signed for the 2010-11 season by Scavolini Pesaro. Moved to Russia for the 2012-13 season, signed by Krasnie Krilya Samara. On Feburary'13 moved to Lithuania, signed by Lietuvos rytas Vilnius. 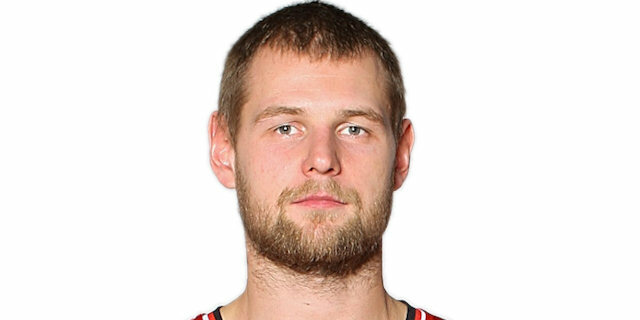 Signed for the 2014-15 season by Lietkabelis Panevezys. In October'14 moved to Poland, signed by Trefl Sopot. Moved to Argentina for the 2015-16 season, signed by San Lorenzo de Almagro. In December'15 moved t Italy, signed by Victoria Libertas Pesaro. In November '17 moved to France, signed for the 2017-18 season by Limoges CSP.